Why call in the experts? So you are looking to refresh your wood floor, why would you choose a professional sanding company over DIY? On average, we will use at least 3 pieces of equipment to sand your floors. For floorboards & hardwood planks, we use a heavy belt sander. A separate edging sander is used to get as close as possible to your skirting boards or for accessing small, awkward areas. 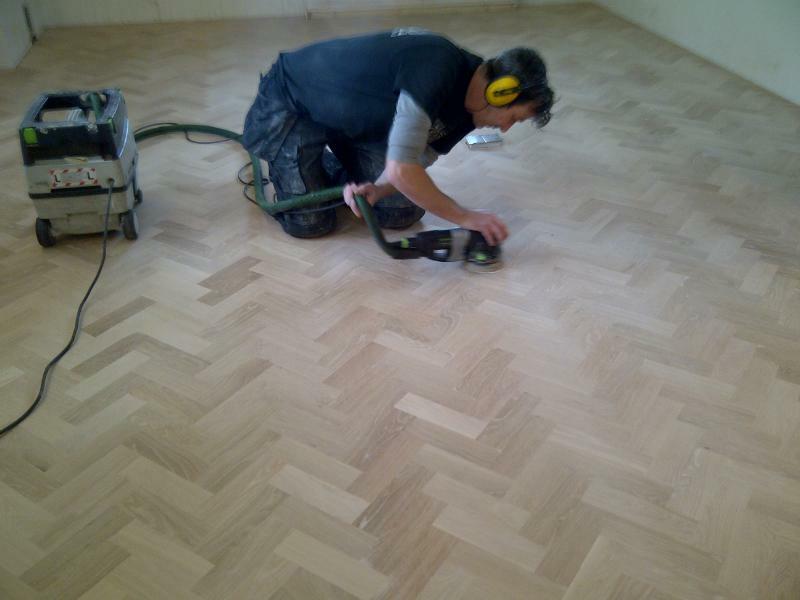 For Herringbone floors, a rotating sander is used to prevent marks. It is this attention to detail and using the right tool for the job that ensures a perfect finish. Our belt sanders are extremely heavy, much more so than a typical drum sander that you may hire. The heavier the equipment, the less likely it is to 'bounce' on the floor and leave tell tale sanding marks. The larger sanders all have dust extraction equipment, vastly reducing the dust & mess in your home. If using small pieces of equipment without integral dust extraction, we will take great care to minimse dust. Our staff are fully trained & insured. We can assess the best type of equipment to sand your floor and steadily work through different grits & papers to ensure a smooth finish. Just a few benefits to choosing The Sanding Man!